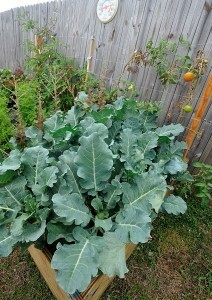 For more than a month, the most visibly growing vegetables in my backyard garden were the broccoli plants. They grew and grew. Almost too big. They are now casting a shadow over my red leaf lettuce. However, as big as they got, I never saw anything that actually looked like the broccoli that I was used to seeing on my dinner plate. Then, last week, we got a lot of rain; eight inches in two or three days. Imagine my surprise and thrill when I saw what I could clearly identify as broccoli! Go ahead. Click the picture. Check out the size of my broccoli. It’s not huge yet but at least it looks like actual broccoli. 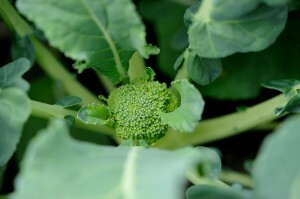 I wonder how much broccoli I’ll actually get from the garden and how much the plant will produce? Any ideas? Let me know how many people I need to invite to my all-broccoli dinner party. Broccoli, waste of good dirt. Next year, plant asparagus. You might see if you can get a government subsidy to grow shade leaf tobacco. An ALL broccoli dinner? Who are you and what have you done with my nephew? Be careful- these guys love to run to seed and I’ve seen it happen in Carl’s parent’s raised beds. Since the roots only have so far to go, the broccoli matures with smaller heads. If you start to see the little flower buds in the heads turn a little brown, go ahead and harvest them. I couldn’t believe how much better home grown broccoli tastes than store bought- even the color is better! Yippeee!!!!! P.S. 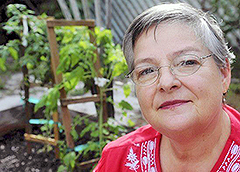 Asparagus are a waste of good soil…..
Kerami, we have been getting a lot of rain here in South Florida. Half my broccoli are in a low spot and look exactly as they were a couple months ago. The other half, on a higher spot, are doing fabulous and are actually starting to look like broccoli. My tomatoes are also doing really well. I have to be sure and check them daily otherwise the grow too fast and split before I have a chance to eat them. My carrots are very unsatisfying. I can’t see them growing, what with them being underground and all. Never again will I grow a sub-surface vegetable. What is the fun in that? Nice! Mine is growing too! Can’t wait to harvest! This my first year growing broccoli bought at home depot, It says harvest in 60-65 days but i have already got broccoli its only been about a month, i made a mistake and did not pick because it seemed to early, the heads were not very big, now they have flowered. This is one plant you really have to watch!! You hit the nail on the head, Don. I made the same mistake. 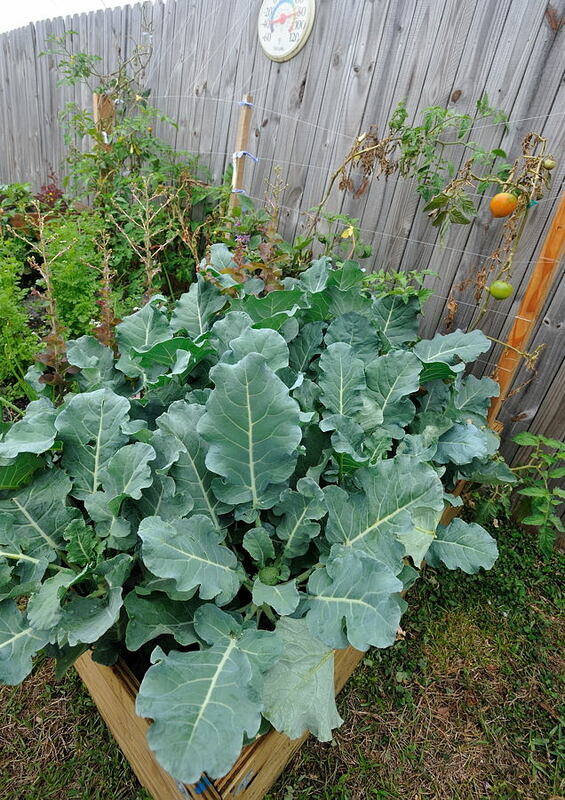 I figured as long as I left the broccoli in the ground, it would just keep getting bigger and better instead of rotting in my refrigerator. When I went outside, all my broccoli had gone to see. Big bummer! My broccoli only has leaves that have grown tall but no head, can anyone tell where I went wrong with it. Love the pics…we were using them to compare to our own growth.